lt;stronggt;CWNWCRPLPDWlt;/stronggt;lt;BR/gt;White Walk-N-Clean Replacement Pads, 30quot; x 24quot;lt;BR/gt;60 antimicrobial sheets in a pad. Four pads per carton. Mat Type: Pad Refills Application: Indoor Materials: Acrylic.lt;BR/gt;lt;BR/gt;lt;stronggt;RCP253100BKlt;/stronggt;lt;BR/gt;White Walk-N-Clean Replacement Pads, 30quot; x 24quot;lt;BR/gt;Wheeled, vinyl-coated dust pan with superior durability and ergonomic safety features. Yoke and handle assembly with larger, stronger and quieter hinge pins. Durable wheels and wear pads on back of pan extend product life. Built-in handle on back of pan lets you empty without touching pan bottom. Ideal for use in malls, restaurants and lobbies. Will not stain, discolor or absorb odors. 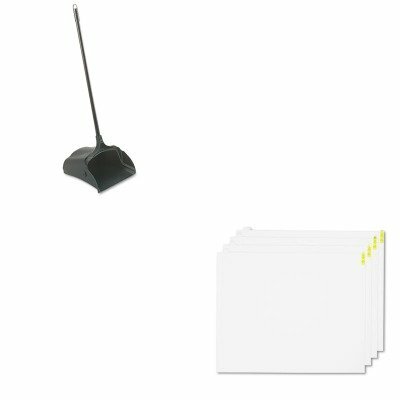 Materials: Polypropylene with Vinyl Coated Steel Handle Width: 12 1/2amp;quot;.